Minerales y Vitaminas para reptiles, Lucky Reptile pro mineral + d3 60 gr. Indicado para: Todo tipo de reptiles y tortugas de tierra y de agua. Lucky Reptile, empresa alemana especializada en la fabricación exclusiva de productos para reptiles. Pro Mineral D3 is a mineral supplement which contains vitamin D3 and organic bound calcium, which is easier for the body to absorb. Thanks to its good adhesion it sticks for a long time all over feeding insects body. Especially during the time of egg deposition and the growth it is reasonable to feed vitamin D3 and calcium, because the demand is higher than usual and there is the risk of a rachitis. 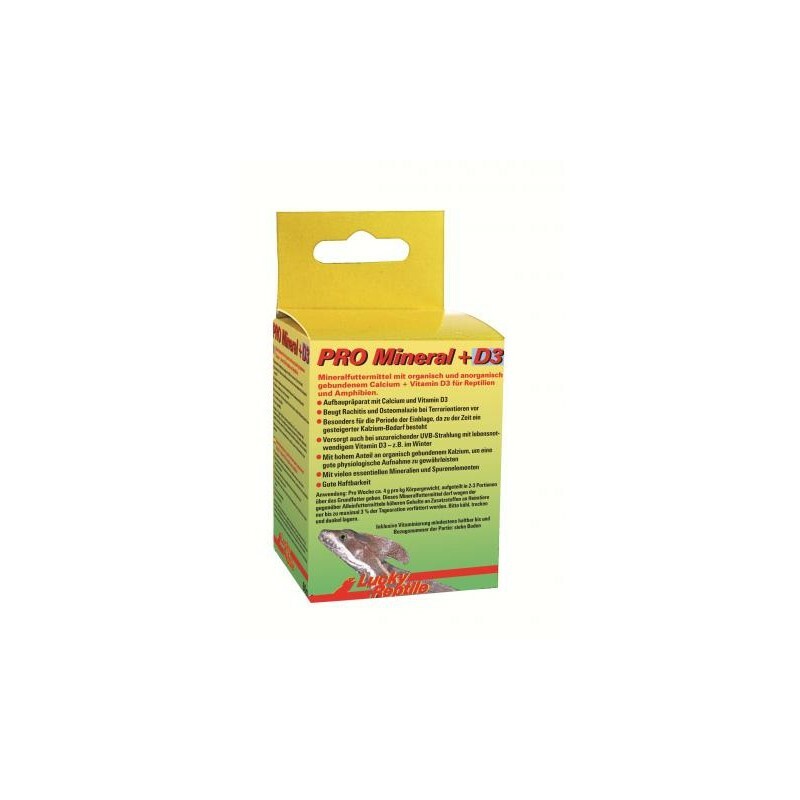 PRO Mineral D3 also can be used to counteract deficiency symptoms.